I've just noticed my rear to front fuel line has had it, it's corroded at the union of the flexi-pipe on the rear beam. Honda no longer stock them, so, what are the options for the quickest possible resolution? Do I make a new piece of pipe and disregard the rubber union the other side of the rear beam, as I'll guess that's on its way out too, or are there any off-the-shelf options? 4g 2.2 in Silver, 5g 2.2 Motegi in Blue. Your repair is from the flexi-pipe up to the tank, my primary concern is from the fuel pipe at the union to the front of the car; it's so badly corroded that winding up that nut has pushed the pipe away from the join, as you can see in the picture. I suspect I'm just going to have to make a new rear-to-front pipe for it. no mate - the repair im working on is to fix a leak in the pipe just underneath the fuel union on the hard line that goes to the front of the car. i found the union can be seperated into two halves and the repair i am doing is to take away the bottom section of the union and fit a 1/4 BSP to 8MM barbed connector and then cut of the leaky/rusty section of line and use some new fuel hose and clips. You're going to create a union between the steel pipe and the flexi-union with rubber tubing running underneath the car? I doubt you'll get through an MOT with that, in fact I'm almost completely sure it won't. 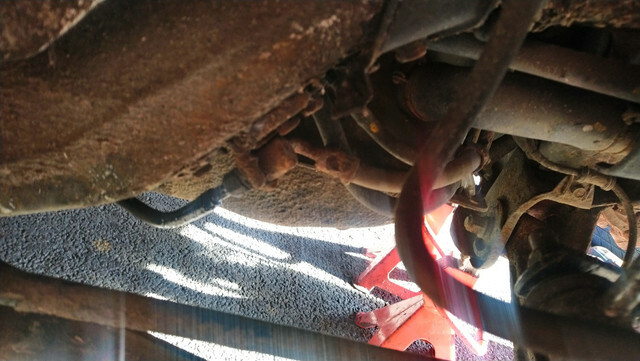 I'd read your post as you using rubber pipe from the steel pipe, where the corrosion normally starts, to the front of the car, and that's definitely an MOT failure. From the rear beam backwards/upwards, it doesn't have to be covered, just secure and out of the way of moving parts. Ahhh no worries - im just putting in a small section of rubber fuel hose. I'm going to make a union from the steel pipe to the tank, in aeroquip or the like, as I suspect my rubber pipe will be perished as badly as the steel pipe. What was odd was that it literally only appeared yesterday, and within 30 mintues, without any tampering at all, it went from very slight fumes to heavy leak! 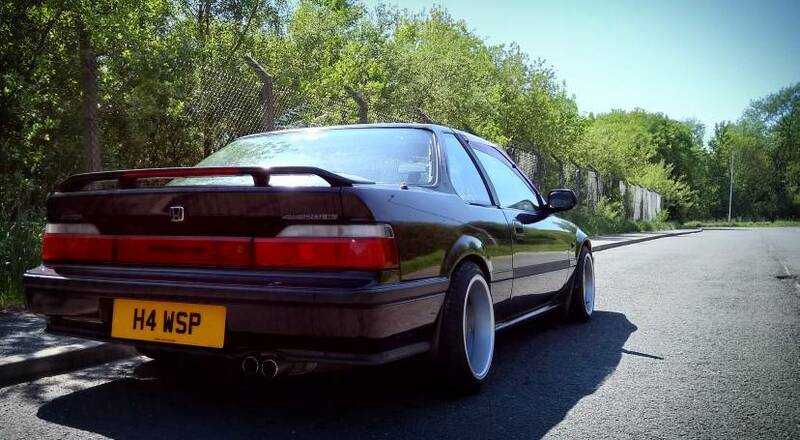 Put an end to me doing the rear suspension/ABS sensor, although that'd already come to a halt as I'd been sent the wrong springs, bump stops and washers; I guess it pays to go directly to Honda sometimes.